An Israeli court has convicted Michael Ron David Kadar for making a string of bomb threats targeting U.S. Jewish community centers, airlines and shopping malls. Reuters reports that he made about 2,000 hoax bomb threats. He was arrested in Israel in March 2017, and at the time, U.S. Attorney General Jeff Sessions called the arrest the "culmination of a large-scale investigation spanning multiple continents for hate crimes against Jewish communities across [the U.S.]," NPR's Camila Domonoske reported last year. The man is Jewish and holds both U.S. and Israeli citizenship. Authorities in Israel did not use the man's name since he was a minor when he committed the crimes. However, in a U.S. indictment announced earlier this year, he was named as Michael Ron David Kadar, NPR's Daniel Estrin reports. The Justice Department filed hate crime charges against 19-year-old Kadar for threats he made against various Jewish community centers and public institutions in Florida. The U.S.'s document cites 32 counts of transmitting threats in interstate commerce, obstruction of free exercise of religious beliefs and bomb threats at various locations, including a Tampa JCC preschool, an Orlando middle school, the Orlando International Airport and a Jewish organization in Jacksonville. 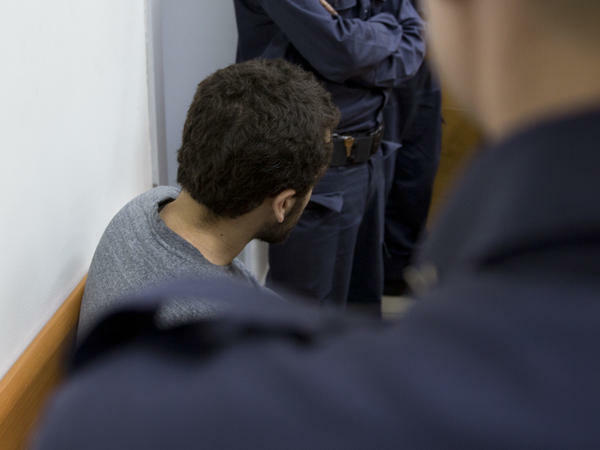 In Kadar's conviction in Israel, police there say he used sophisticated equipment to mask his location and identity when he phoned-in dozens of threats "to Jewish and public institutions in New Zealand, Australia and Israel," NPR's Daniel Estrin reported earlier this year. Kadar's parents, according to Reuters, say he has a brain tumor "that makes him unable to understand the nature of his actions." However, in the recent court verdict in Israel, Kader told psychiatrists that he called in the bombings because he was bored. "It was like a game. I understand that it is wrong, and I am sorry and will not do it again." Reuters reports that "Kadar earned about $240,000 worth of the digital currency Bitcoin by selling his threat services online." This comes after a wave of bomb threats in the U.S. to Jewish community centers. In 2017, the Anti-Defamation League, a Jewish civil rights organization, tracked 169 threats made to Jewish institutions in the U.S. It's not clear how many of those Kadar is responsible for. In St. Louis, Mo., for example, U.S. authorities arrested a different man, Juan Thompson, for multiple threats to Jewish institutions across the U.S. Thompson's threats were reportedly part of a campaign he led to cyberstalk a woman he dated. The ADL reports that there have been no bomb threats so far this year.